This Facial Oil Has Every Make-Up Artist Raving And No, It's Not What You Think! Did you remember the facial oil that broke your Instagram feed in 2017? 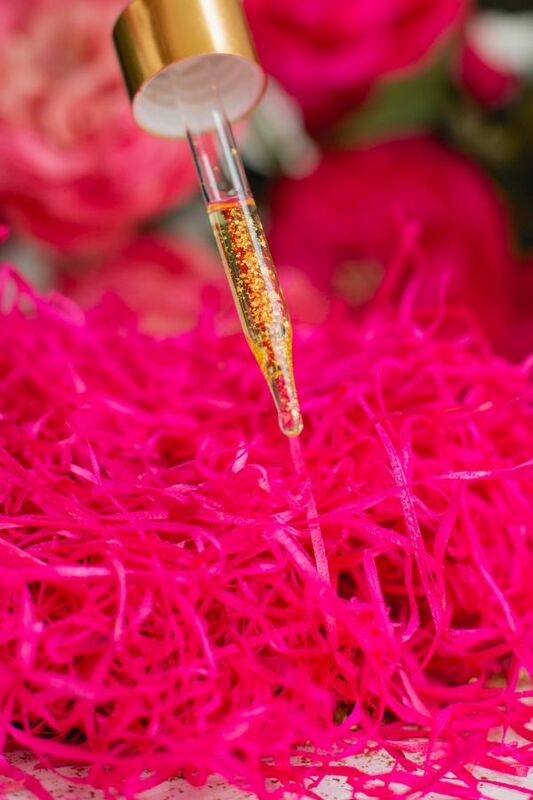 The gorgeous facial oil with 24k Gold flakes in it? Yep, we're talking about the Farsali Rose Gold Elixir. Bad news? It's not *easily* available in India! The good part? We have a product, potentially better and more promising that will pretty much knock your socks off! Why Did I Opt For Indulgeo Essentials Rose Gold? 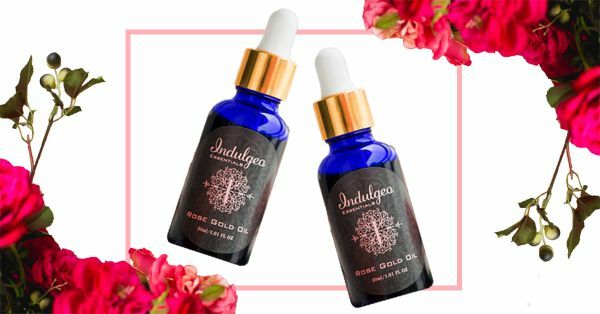 I first heard of Indulgeo Essentials Rose Gold Daily Oil when I was recently interviewing Bollywood celebrity make-up artist and Plixxo influencer, Namrata Soni. She raved about this facial oil, telling me how she uses it on models and actors. Our Beauty Editor heard about it from Anu Kaushik at a photoshoot too. Much like any other beauty enthusiast, I couldn't wait to get my hands on it. I was pretty apprehensive since I have sensitive, acne-prone skin that's currently being treated by a dermatologist. I have stubborn cystic breakouts on a daily basis and I wasn't sure adding any kind of oil to my regime would do any good. 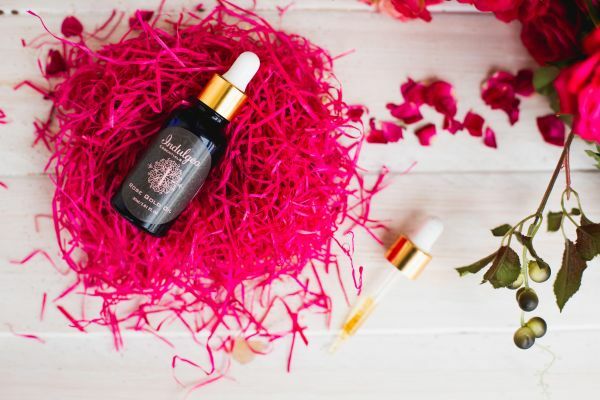 I checked out the brand's website and realized that the Rose Gold Oil is a 100% organic facial oil made with 24K gold flakes, pumpkin seed oil, rosehip seed oil, Vitamin E oil, orange peel oil, patchouli oil and lemongrass oil. The serum promises to brighten, hydrate, and tighten your skin. It also helps control breakouts, fades acne scars and lightens hyperpigmentation. I did a bit of research on the ingredients and I knew I had to give this product a go! A quick glance at some of their customer testimonials and I was already at checkout! Before we begin the review, let me bust one of the most commonly believed myths: Facial oils aren't good for acne-prone skin. Facial oils are pretty beneficial for all skintypes. Just find one that works for your skin concerns and you won't be disappointed! It's been about a month I've been using this product, and I have to say, the hype is real! I use this twice a day, mixed in with my moisturiser. My make-up blends in like a dream and my skin looks hydrated all through the day. On days when there's a chill in the air, I add an extra drop to my morning routine. I've definitely noticed that my breakouts have reduced, the scarring is fading and my skin isn't as dry as it used to be. I am sure I'm going to use up every last drop of this bottle. Within just a week of using the oil regularly, I noticed a significant difference in the stubborn blemishes and acne-scarring I've been trying to get rid of! 1. Mix in a drop of it with your foundation. Your base will blend better and leave you with a subtle glow. 2. Use a few drops of this facial oil on your lips, especially before applying a matte lipstick. 3. Add a drop of it to your damp beauty blender for the ultimate dewy skin look. 4. Mix in a few drops to boost the effectiveness of your moisturiser/sunscreen. 5. Add a few drops of it to your favourite face packs. Have you tried using a facial oil before? What was your experience? We'd love to know!